Moscow is a buzzing metropolis, but only a short car ride away from Russia’s capital are some tranquil getaways. From a boho art park to a literary museum-reserve to a riverside paradise—here are the best places for a short escape from the city that never sleeps. Although rural Russia is not the first place you’ll go looking for contemporary art, Nikola Lenivets proves that otherworldly wooden installations scattered on a 650-hectare field can turn an abandoned village into a tourist mecca. Located only 220 kilometers (137 miles) from Moscow, this place is amazing in any season; however, in summer, visitors can test their gardening skills and create art objects. 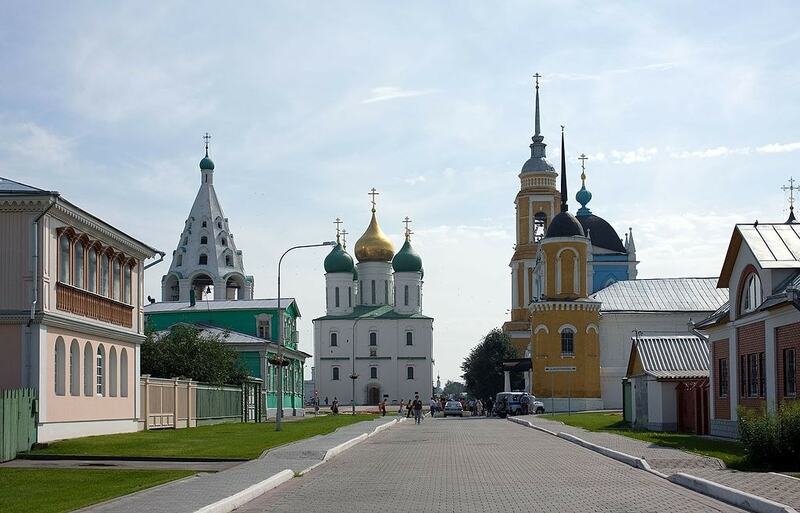 Located 100 kilometers (62 miles) north of Moscow, Kolomna is a charming ancient town with picturesque churches, historic 19th-century houses, and its own Kremlin. Be sure to visit the city’s sacred places such as the 16th-century Church of the Dormition of the Virgin, the Old Golutvin Monastery, and the Church of Saint Nicholas Posadsky, and explore its gastronomic museums, including the Pastila Museum and Kalachnaya Museum. In the Abramtsevo Museum-Reserve, you’ll get a chance to see what life in a Russian 19th-century estate was like. The Abramtsevo estate, set against a backdrop of unspoiled nature, rose to prominence in the middle of the 19th century. The place used to have some celebrated owners and equally famous visitors: writer Sergey Aksakov bought the estate in the 1840s, and after his death, entrepreneur Savva Mamontov purchased it, turning it into an artist community. At different times, writers Nikolai Gogol and Ivan Turgenev, as well as artists Ilya Repin, Valentin Serov, and Mikhail Vrubel, among others, frequented Abramtsevo. Ever wondered what the estate of the Bolkonsky family from Tolstoy’s War and Peace looks like in real life? Located near the city of Vidnoe in the Moscow region, this land was the property of the famous Volkonsky family. The magnificent manor used to host dazzling balls; the mausoleum houses the bodies of Prince and Princess Volkonsky, and the overgrown garden is home to an elegant pavilion. Sadly, most structures have deteriorated, but it’s still a great place to explore on a sunny day. If you take a 40-minute bus ride southeast of Moscow, you’ll find yourself in the blemished but still beautiful Bykovo Estate. Designed by celebrated Russian architect Vasily Bazhenov, the place is known for its spectacular Gothic-style church. Stroll through the forested park, past the charming pondside rotunda and admire the neo-Renaissance Bykovo manor. In Turygino village, you can explore the outdoors, go gift shopping, and learn about Gzhel porcelain—one of the most popular gifts people bring home from Russia. At the local Gzhel Porcelain Factory, you can buy original pieces with a signature stamp on them, admire the largest collection of Gzhel porcelain in Moscow and see the production of these legendary items. Porcelain Exhibit at Gzhel porcelain manufacture | © | Courtesy of JSC "Union " Gzhel"
This 16th-century monastery is worth a visit if only to see the tallest bell tower in the Orthodox world. A living representation of Russia’s history, legend has it that Russian saint Dmitry Donskoy founded it. Ugresha Monastery has been destroyed and rebuilt multiple times, and today, you can feast your eyes on the well-preserved buildings. Lush green forests and breathtaking river views are a two-hour car ride away from Moscow. With plenty of hotels dotting its banks, Istra River is a perfect place for a short retreat, complete with swimming, fishing, and Russian banya. The nondescript city of Klin would have never become a tourist draw if it hadn’t been for the house museum of Tchaikovsky. Russia’s most famous composer spent his last years in this house, which became a museum right after his death. Surrounded by a lovely garden, the museum houses original interiors and personal belongings of the great composer, including a mechanical rooster and a cast of Anton Rubinstein’s hand.